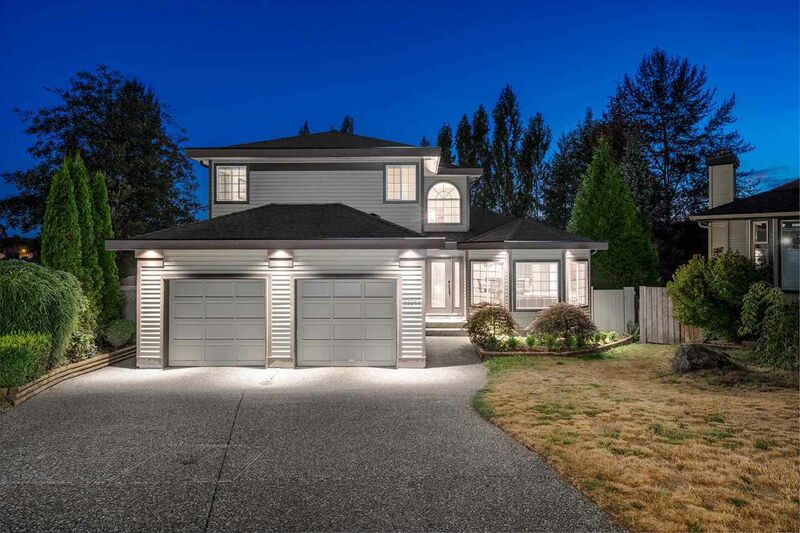 Kanaka Ridge- Professionally renovated 2 storey plus basement home in a south-west facing lot backing ALR/farmland. This home boasts brand new laminate wood style flooring throughout the main, new carpet up, new wrought iron staircase and new white kitchen with quartz countertops, spacious island and new high end stainless steel appliances. Rare 4 bedrooms up, boasting a spacious ensuite with soaker tub. Don't miss the fully finished basement with a 5th bedroom and den, separate entrance and a huge rec room. Nothing to do here, roof replaced in 2014, deck with glass railing overlooking your sunny 1/4 acre lot. Walking distance to transit too! INCLUDES A/C TOO! No open houses, viewings and offers by appointment.